Our studio rehearsals continued this week, enlivened by the arrival of a brand new dance floor (well, fancy lino) in the studio — see image above where Scott takes it for a spin. This has transformed the space and made our work a lot easier now that we are no longer struggling to move on office carpet for fear of friction burns! Thanks to Manny, Mike and Richard for the heavy lifting and Shelly and Neil for organisation! 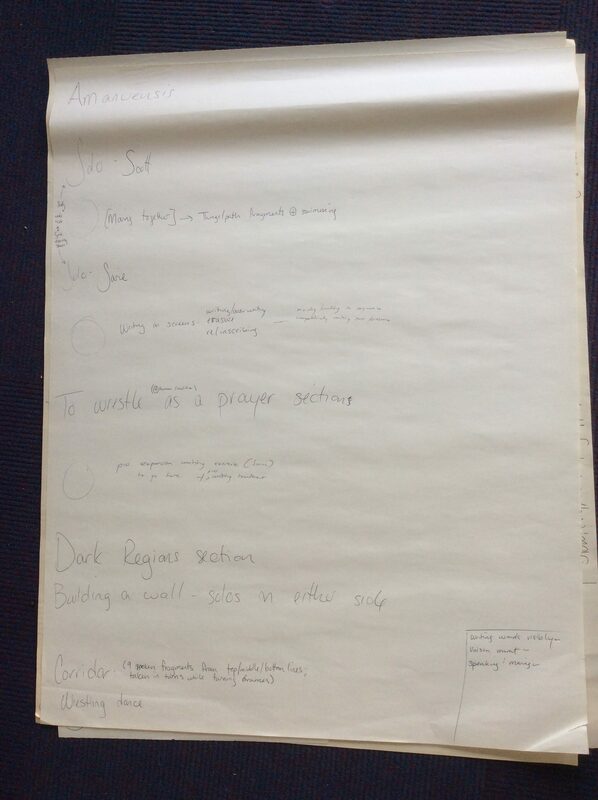 We have managed to sketch out a complete structure for the piece now (see image below), and have been looking closely at different passages, really working the transitions between solo and duet-oriented work, and mining deeper into the layers of meaning in the ‘Encounters’ poem which we are working with. 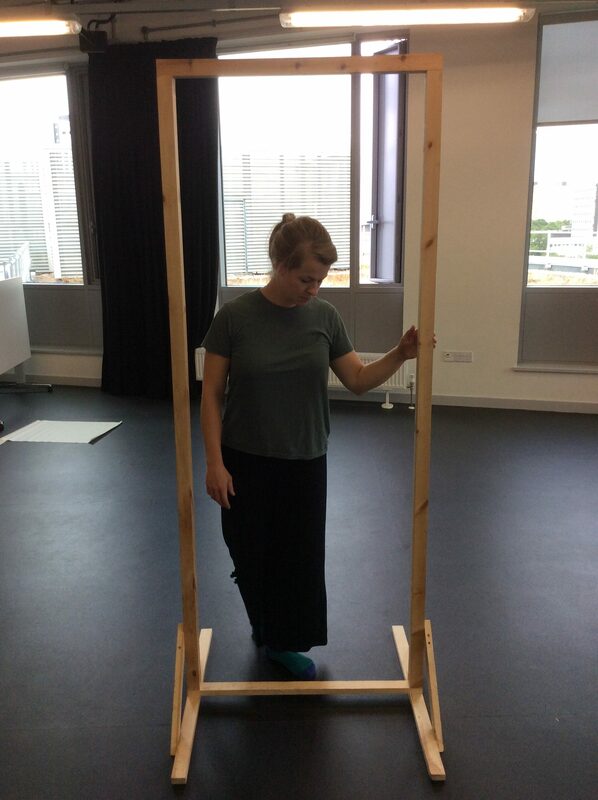 We’ve also begun exploring the possibilities of our new scenography, also glimpsed here below. 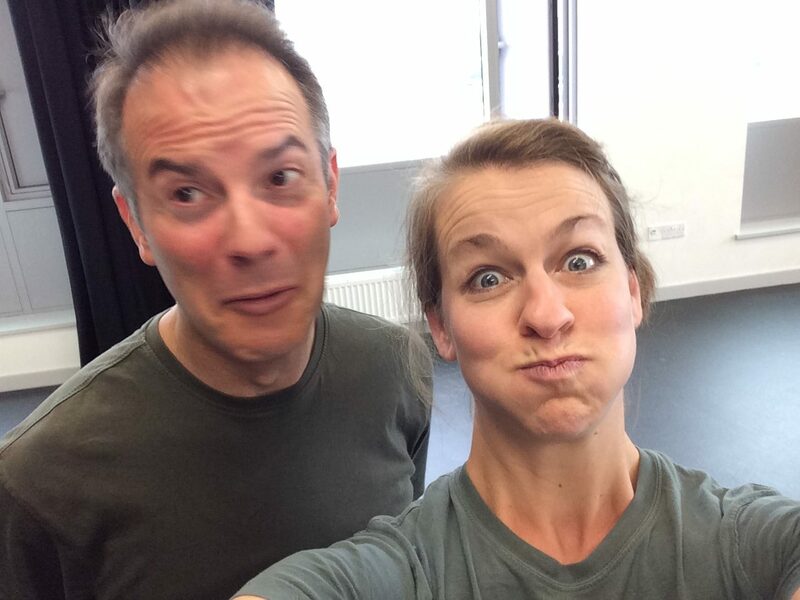 After three months of intensive work the strain might be starting to show a little – as the photo below of our reaction to arriving in identical outfits in the studio today attests! Fortunately a little holiday time beckons so we’ll be back in early September!